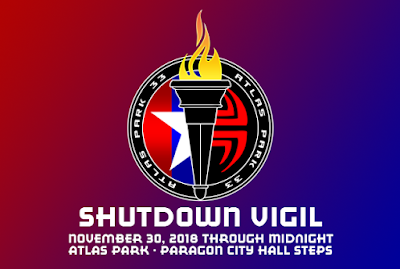 Paragon Radio will be live tonight (10pom EST to midnight) covering the Vigil. For those who can't listen in live, due to work or timezones, etc. they have provided a link where you can catch up later. It's that time of the year again. The time when people all around the world remember having the rug pulled out from under them when NCSoft shut down the City of Heroes servers for the last time. 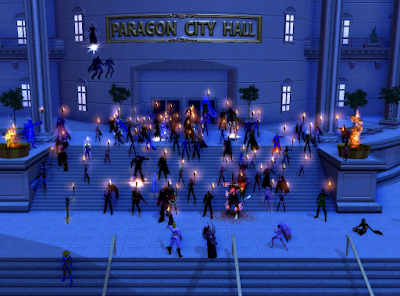 A vigil will be held again this year on the steps of the Paragon City Hall in Atlas Park, on Paragon Chat. 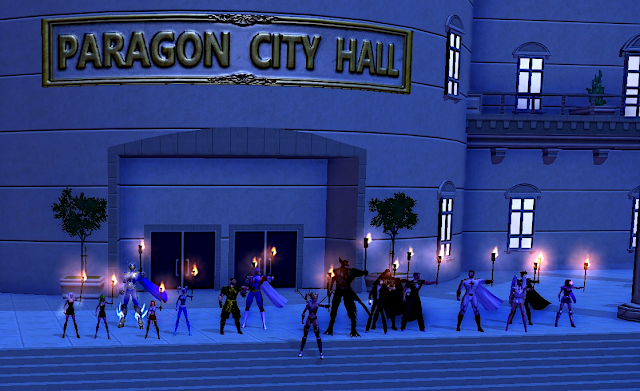 You can read all about it on the Titan Network forum, and also find out how to get onto Paragon Chat if you'd like to join us. 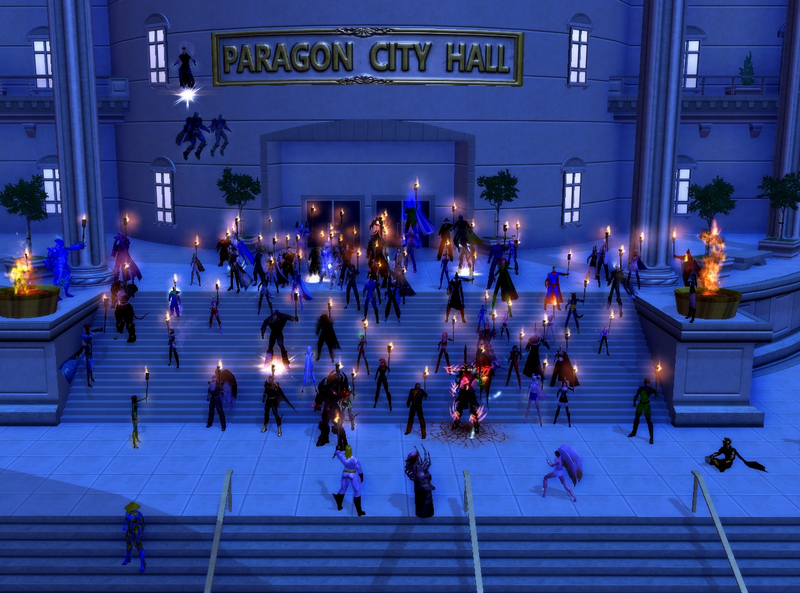 The 6th anniversay of the shutdown of our favourite game is upon us and people are starting to gather on the steps of Paragon City Hall. If you fancy joining in, details on Paragon Chat and how to connect, etc. can be found on the Titan Network Forum. We had a pretty good turnout! Well over a hundred people standing together on the steps... It doesn't look like that many in the screenshot but the old client couldn't display them all!